The Lagos-Abeokuta part of the project, which is almost nearing completion from Agbado to Abeokuta, has stagnated from Agbado to Iju. 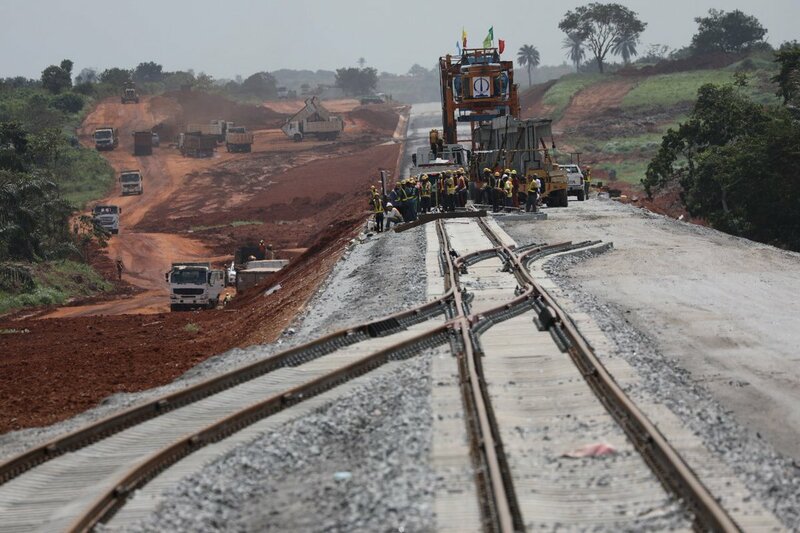 In line with its resolve to complete the Lagos-Ibadan railway line ahead of the three-year scheduled period, the federal government has read a riot act to the contractors handling the project, directing them to complete the Lagos-Abeokuta axis within two weeks. Minister of Transportation Rotimi Chibuike Amaechi handed the order during the inspection of the project yesterday. He maintained that though the construction is well ahead of schedule and could be flagged off in its current state because passengers are more from Iju than Agbado, it is logical to complete Ije-Agbado before flag off. “I may be pushing them a bit hard, but I want the project delivered. Though, we cannot say that the contractor, the China Civil Engineering Construction Company (CCECC) is not trying, however for commercial purposes, they have to complete the section so that, passengers can board train to Abeokuta,” he said. “Getting to Abeokuta you will see that there is an improvement but the problem they have now is the civil work between Agbado and Iju which is critical to me because I don’t think passengers will go to Agbado to join the train. “I believe that the closer we are to Lagos the better for the rail and that is why I had to demand from what they will do about this before the next two weeks. “Although there is a huge improvement up to this point, I want them to speed up the construction from Iju to Agbado,” he noted. On why the contractor has not brought in more equipment to hasten the pace of work, Amaechi, a former governor of Rivers State, said that the excuse given by the firm was that the equipment were not off-the-shelf items that could be moved easily to Nigeria from abroad. He equally spoke on the importance of the project, stressing that “part of the solution to the congestion around Lagos seaport is an efficient rail line. You can argue that the narrow gauge is there but it is not efficient. “However, the moment you fix this then those goods will be transferred to the rail and then the logjam will disappear. “The moment we do the section from Iju to the seaport, then most of those goods, especially the ones going to Ibadan will be on the rail lines,” he said. On the possibility of completing the target before two weeks, the Minister insisted that it was only earth work that was required, stressing that the contractor must complete it within two weeks. Meanwhile preparations are already in top gear for flag off of the newly constructed rail line as the Nigeria Railway Corporation has started moving two coaches to Lagos from Delta state.